The UK chart results have now been released for the most recent week, and bring a mix of expected results along with occasional surprises. FIFA 16 seizes top spot, naturally, though there are a couple of interesting outcomes from a Nintendo perspective. 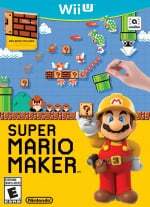 For starters, Super Mario Maker continues to contribute decent results in what is a challenging market for Nintendo. A mix of new and discounted games do see the level creation tool drop five places from 6th to 11th place in the all- and single-format charts, but overall that's reasonable momentum for the Wii U exclusive. No other Nintendo games make the all-format top 40, but the single format results do have a couple of sub-plots. These revolve around Skylanders SuperChargers on Wii U and Skylanders SuperChargers Racing on Wii. All versions of the game combined charted in 4th place for Activision, but the individual format results show how each system contributed to that result. Pleasingly for Wii U it delivered the second best-selling version of the full game, losing out only to the Xbox 360 iteration; the Racing spin-off on Wii is the lowest of the versions in the single-format top 40, with the 3DS version not making the cut. The Wii U result is certainly positive for Nintendo, however, as it demonstrates that the platform holder still attracts families and young audiences on these key titles, with the Donkey Kong amiibo tie-in perhaps also helping with the latest console's bundle. Is there coming a review for the skylanders superchargers game? Skylanders figures are epitome of tack, I was hoping Bowser and DK would have had at least the same base as actual amiibos. 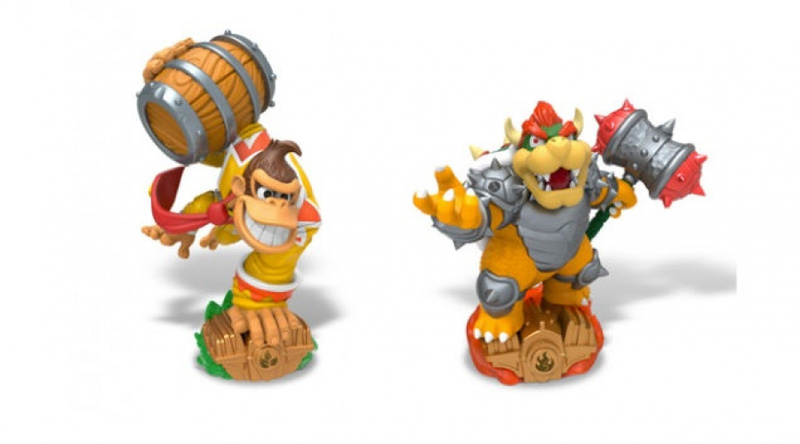 It's quite funny seeing all the eBay listings with everything bar Bowser and DK though. If "Pachter" is "click-bait", Skylanders is the opposite of click-bait, whatever the opposite of click-bait is? Did our part, picked up the dark Wii U version. Will pick up the Wii version when it gets to half price around Black Friday. Didn't want dark Wii as Bowser's plane looks lame in black, and Bowser looks like an XFL player. DK looked like a clown in that Elvis in Vegas jumper, somewhat better in black w/ red tie, and his car looks way cooler in black, less Flinstsones. It's a shame I've always liked the 3ds skylanders games but superchargers isn't it's own game it just a racing one while the other skylanders games on 3ds have had effort put into them! @ninty4thewin Single format charts is just a version of the sales chart where they split the multi-platform games into sales for each system For example FIFA 16(X1) and FIFA 16(PS4) on the singlee format would show up as two separate entries each representing the sales for that particular platform alone. Whereas in All format charts their sales are added together and treated as one entry so FIFA 16 only shows up once on the All format and represents the combined sales on all platforms. I can't beleive a $60 expansion pack for a $60 expansion pack that released last year got first place.